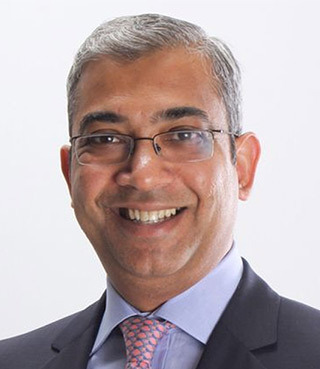 Xerox Corp has appointed Ashok Vemuri, a former chief executive officer at IGATE Corp, as the CEO of its business process outsourcing unit to be carved out after the company splits into two publicly traded entities. Vemuri, 48, will join Xerox from July 1, the maker of the eponymous photocopier machines said in a statement. Xerox said the BPO company, with about $7 billion in 2015 revenue, will focus on growth markets including transportation, healthcare, commercial and government services. Xerox had, in January this year, announced plans to split its legacy printer operations and its BPO units into two companies. The split is on track to be completed by the end of 2016, the statement said. Xerox has not said who will head its printer business but current CEO Ursula Burns will become chairman of that company once the transaction closes. Vemuri said the standalone BPO company will have many new opportunities, "leveraging its differentiated capabilities and executing a more focused value-creation strategy" for clients, employees and shareholders. Prior to this appointment, Vemuri headed IT services provider iGATE from September 2013 to 2015 when he led the company’s sale to French rival Capgemini SA for $4 billion. He previously worked at Indian software services exporter Infosys, where he was senior vice president and head of Americas and global head of manufacturing and engineering services from 2012-2013.